During ONS, Stavanger plays host to the world. And the world comes to Norway to see what is happening on the Norwegian Continental Shelf. 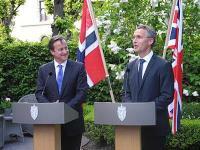 But perhaps the most significant relationship that ONS highlights is the energy synergy between Norway and the UK. The relationship goes far beyond that of energy exports and imports. The long North Sea border has made it only natural that the two countries should co-operate in developing resources. In early June, without much fanfare from the media, Norwegian Prime Minister Jens Stoltenberg received UK Prime Minister David Cameron in Oslo for talks on the bilateral relationship between the two countries, including topics such as energy cooperation and the economic situation in Europe. The result was a joint statement, emphasising an “Energy Partnership for Sustainable Growth”, which heralds an even closer collaboration between the two countries across a wide range of energy activities, including safe and environmentally sensitive oil and gas extraction, long-term gas supply, renewable energy investment, electricity interconnection and international climate change policy development. Described as a “landmark energy partnership”, the agreement between the UK and Norway has been designed to secure affordable and sustainable long-term energy supplies. An expansion of existing supply chain opportunities can only be good for business growth. Aker Solutions has already created 1,000 in the UK over the past two years, and this global provider plans to create another 1,300 new highly skilled jobs by 2015 at its engineering hub in Chiswick. Statoil had previously announced a GBP 6 billion investment in the UK’s Mariner-Bressay North Sea oil fields and has now, in conjunction with the “Energy Partnership”, has stated its intention to invest a further GBP 12 billion over the project’s lifetime. It’s estimated that these investments will create up to 300 new jobs in the UK in the next few years, including at a new operations base in Aberdeen. And that’s in addition to the 700 UK jobs that will result in the first announced investment. Additional agreements include a new Memorandum of Understanding between Statoil and Centrica to continue cooperation on gas supply and exploration, as well as a Statoil and Statkraft voicing their intention to develop the Dogger Bank offshore wind project. 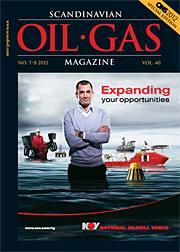 Shell and Gassco have also promised to provide British customers with even more gas from Norway. So when you’re networking and doing business during ONS, remember that you’re doing the work of nations.